If you missed week’s 15 + 16, you can read it here. I still can’t believe how much me and my little bump are growing! Week 17 kicked off with something oh so totally glamours. Oedema. On the Wednesday of week 17, I was on my way home from work and I noticed that my ankles felt kind of weird whilst I was walking, almost as if I had tight socks on? I ignored it all the way home, but when I did get home and get changed, I looked down and saw what I can only describe as club feet. My feet and my ankles were so ridiculously swollen that I couldn’t even see my ankle bones, and I’ve got piddly little ankles! Swelling during pregnancy is apparently very common, but not so common this early on in pregnancy, so naturally with this being my first pregnancy, in a bit of panic I called 111. I spoke to a total of three different people, the operator, a nurse and a doctor. In the end, the doctor advised that I visited my GP that week in order to rule out things such as pre-eclampsia and make sure everything was a-okay. The swelling continued to go up and down for a couple of days and upon my doctors visit, the doctor performed a couple of tests and assured me that I was fit and healthy but I was suffering with dependent oedema and there wasn’t anything to really worry about, thank goodness! Oedema is the fancy/scary word for excess of watery fluid collecting in the cavities or tissues of the body. So in this case, it was in my feet, ankles and lower legs. Over the last two weeks it has gone up and down and the only thing that I can really to do ease it is to raise my feet above my heart, which is only really doable if I’m at home, as I’m sure you can imagine that if I popped my feet up on the desk at work, the patients might have a thing or two to say about it. Week 18 came and went before I knew it! It was mostly full of more hormonal tears and hungry hungry hippo type huger. I honestly don’t think I’ve ever felt as hungry in my life as I have during week 18, oh my wow! Week 18 almost saw me cave in and buy maternity jeans because I was begining to lose my patience with hair bobbles and buttons! I picked up two pairs from H&M(Who during September will be having a 25% off baby and children’s sale, you’re welcome!) and they were around £25 each and they’re both super duper comfortable and don’t actually fall down too much! Now that the weather is starting to cool down and my bump is starting to get bigger by the day, I’m getting super excited for the over-sized cozy knit jumpers and ankle boots to start making their appearance again! That is, if my feet ever stop swelling up to the size of bricks! So I’ll see you all in another two weeks with another bump update! By then, we’ll know if we’re expecting a baby boy or a baby girl! If you want to find out as soon as we do, be sure to follow me and bump on Twitter and Instagram! 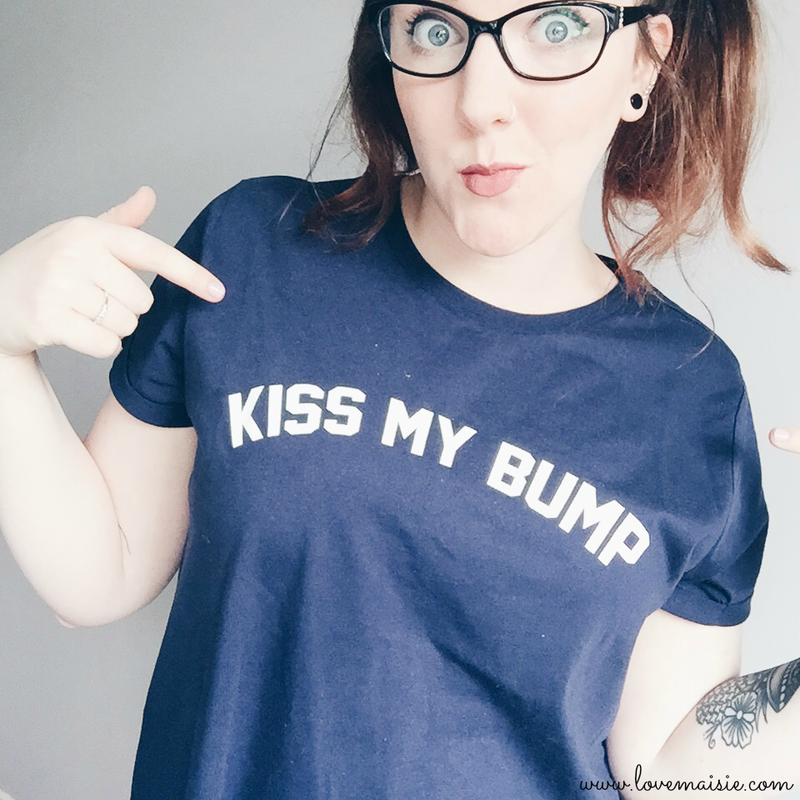 Leave your pregnancy related post links below too!